Beads and Laths – Our range of stock beads includes a multitude of finishes plastic, stainless steel and galvanised, suitable for every application. 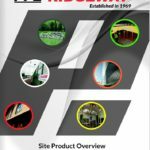 Structural Fixings – Ridgeway specialise on technical products and fixings not normally stocked at your local builder’s merchant and offer a fast ‘direct to site’ service for all builders. 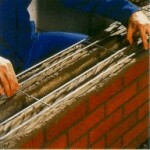 Reinforcements – Bekaert Building Products: solutions to the construction industry. 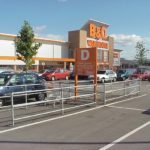 Temporary Fencing and Hoarding – Barricade Panel systems and hoarding. 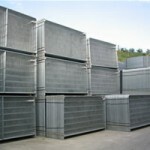 Ridgefence temporary fencing range. 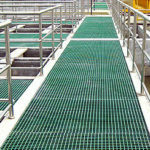 Ridgeclamp Systems – Galvanised handrailing tube and associated fittings used for a variety of wide applications. 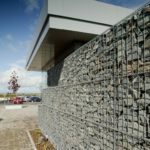 Fencing and Gabions – Access control, security, perimeter and sports pitch fencing. Gabions for reinforcement. 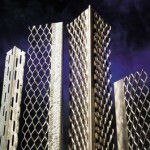 Securilath – Reinforced metal security meshes created by The Expanded Metal Company to prevent illegal criminal access through partitions, walls and roofs. Flooring, Cladding and Decking – Ridgeway specialise in GRP flooring. We offer cost effective solutions for all your new and existing composite requirements from design and fabrication through to installation. 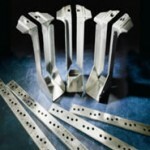 Bolt Boxes – Fabricated from expanded metal mesh. 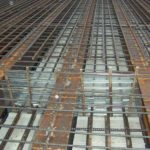 Hy-rib Shuttering – Expamet Hy-Rib is used as permanent formwork on building & infrastructure projects.